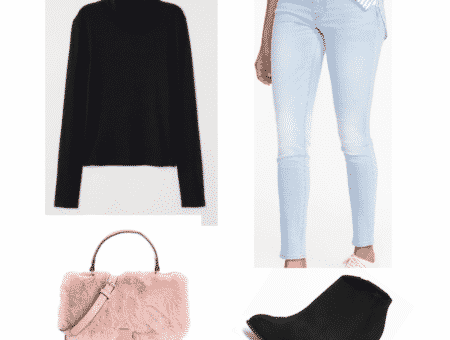 Any college girl knows that it can be a challenge to stay stylish without breaking the bank. But our DIY Chic column is here to bring College Fashion readers budget-friendly and easy do-it-yourself projects. If you are looking for more DIY inspiration, take a look at our past tutorials on creating your own printed scarf or creating a pair of button stub earrings. Alligator clip – Again, a craft store favorite. The size depends on your size of flower. Felt – I recommend a similar color to your floral piece. 1. Start by removing the stem, leaves and extra pieces of your flower as needed. I used a purple silk-touch flower that I picked up at a craft store for a few dollars, that already had a stem and leaves attached. I removed these as seen in the photo. Remember, you want the back side of your flower to be as flat and even as possible. 2. 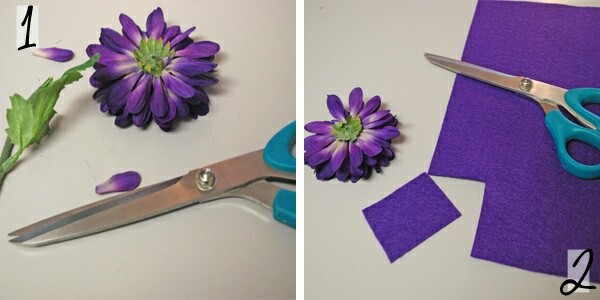 Cut a square of felt that is roughly the same size as your flower. 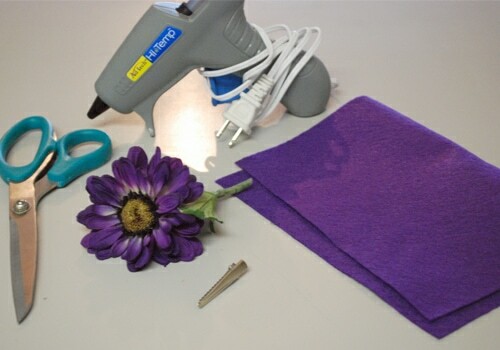 Using your hot-glue gun, carefully apply the felt square to the back of your flower. This will create the base for your alligator clip. 3. Cut another piece of felt that is slightly narrower than the first. It should be about the width of your alligator clip. I used the clip to measure out the correct width of my second piece of felt. 4. Clip the alligator clip to the second piece of felt. 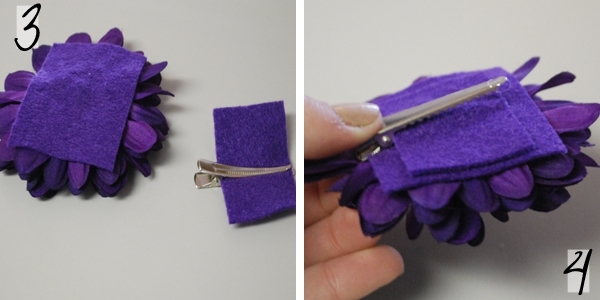 Carefully apply glue to the underside of the piece and press it to the flower as shown in step four. Let the glue dry and cool for a minute or two and you’re done! Viola! I love how quick and easy this accessory DIY can be. Add your new floral accessory to your cardigan, jacket, or bag strap for a little pop of color. You could add it to a ponytail or up-do for a little added fun. You can also get creative and try this project with something other than a flower! What do you think of this springtime-ready DIY idea? 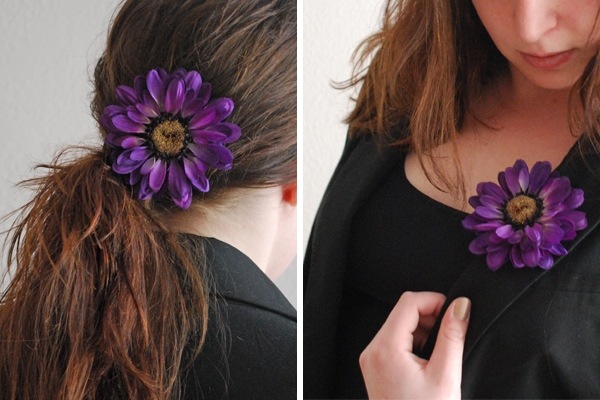 How would you style or wear a flower clip? 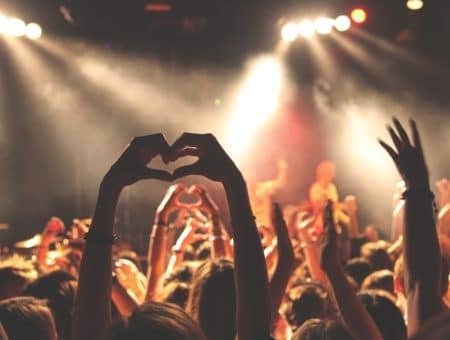 Do you have an do-it-yourself project you’d like to see on College Fashion in the future? Let us know in a comment!